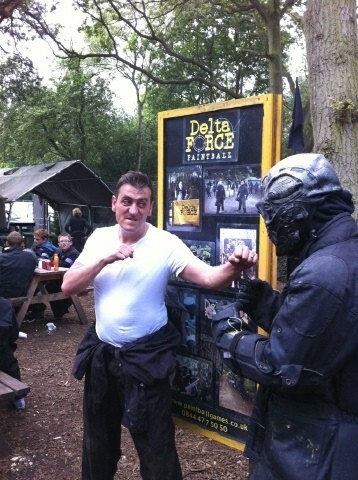 Over the past few weeks almost every Delta Force Paintball centre in the UK has become somewhat of a celebrity hotspot. Recently we’ve had the likes of Boris Johnson, Piers Morgan, footballer David Nugent and soap star David Crellin pass through our centres and we have quite a few famous faces booked in to play paintball in the coming months. 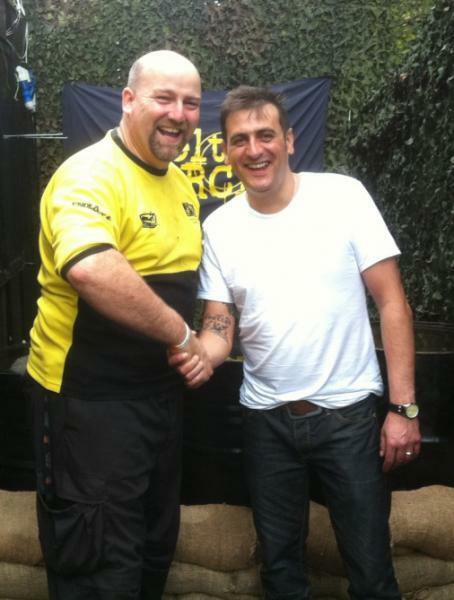 Over the weekend our paintball centre in Cheshire was graced by none other than Chris Gascoyne – star of one of the UK’s favourite soap operas, Coronation Street. Chris, a classically trained actor, has been playing the character Peter Barlow on and off since 2000 and has also played roles in Between the Lines, Casualty, The Secret Diary of Adrian Mole, Soldier Soldier and New Street Law. Chris and his mates had a brilliant day at Delta Force Paintball in Manchester and he was nice enough to pose for a few photos with members of our staff. From everyone at Delta Force, we would like to thank Chris Gascoyne for choosing to play paintball with us and we wish him all the best for his future acting endeavors.